Love is in the air, and steak is on the grill! 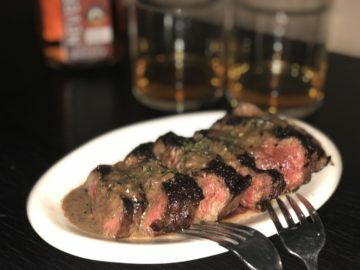 Top your cut of choice with our creamy whiskey steak sauce for an unforgettable meal. What a way to spend Valentine’s Day with your sweetheart. Cook your steak to your liking. Let rest. In a saucepan, melt butter over medium heat, add flour, whisk mixture, add chopped garlic let rue bubble. Add Neversweat, then beef broth, onion powder, Worcestershire, salt and pepper. Give the flavors time to combine and come to a simmer. Pull from heat and immediately whisk in half n half. 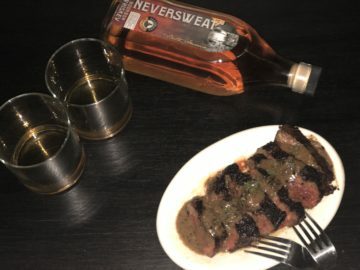 Nothing says “I love you” like whiskey for two.